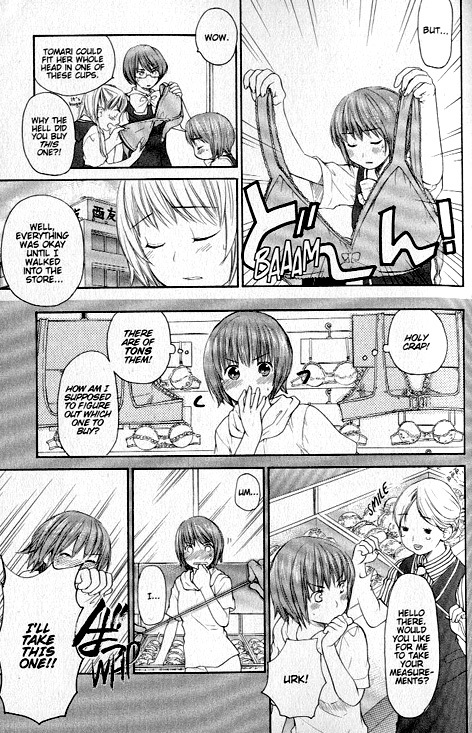 I should also mention that Ayuki is hawt and that she needs more face time in the manga. 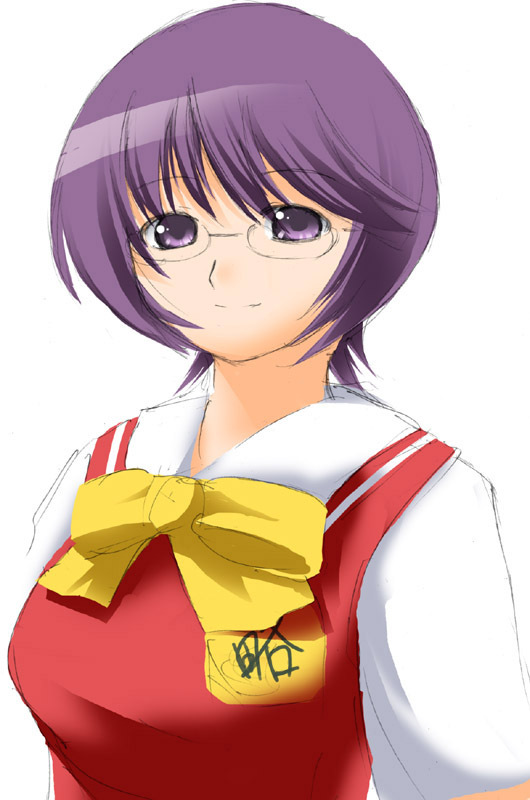 I’m was a member of the Ayuki Alliance, so you can be sure that she’s my favorite character. I’ve got it bad for the meganekko. I had previously watched the Kashimashi anime, so I already knew the general plot of the manga. I did notice quite a few things that were different between the two, though. Like how everyone just stayed at Hazumu’s house instead of going to the mountain to look for him/her. The manga moved a lot faster than the anime, too. One of the things that really stuck out to me while reading Kashimashi was the art. Every page that’s drawn has really great detail. In a lot of manga, the artwork tends to go downhill. There were a few weirdly drawn characters here and there, but for the most part, the art was really good. The character designs are all really awesome, too. Hazumu is way cute, along with Yasuna, Jan-puu, and even the teacher. Of course, no one compares to Ayuki, but we’ve gone over this already. The cover artwork for Kashimashi looks really good. The manga also contains a color insert with the four girls on one side, and the table of contents on the other. The paper that the manga is printed on is probably the same quality as Tokyopop’s. It’s slightly off white and feels cheaper than the paper that other publishers like Broccoli Books and Infinity Studios use. Not that the quality of paper really hinders the manga reading experience for me. Love triangles are already a pretty cool plot device. Love triangles between three (or more?) girls are just plain awesome. I really liked the Kashimashi anime, and I think I like the manga even more. Be sure to pick this one up once it hits store shelves on December 25th, or preorder it at Amazon.com! 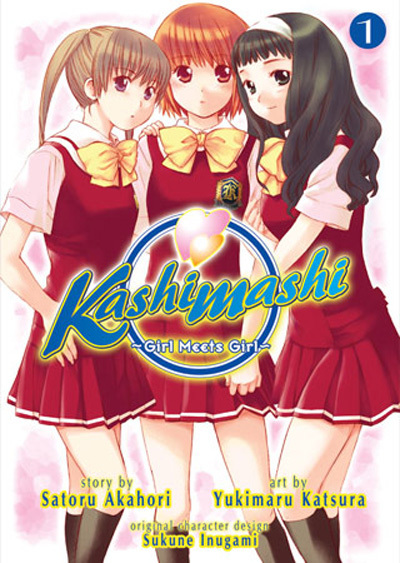 Many thanks to Seven Seas Entertainment for providing the review copy of Kashimashi. They’ve got some pretty interesting things planned for the future, like a yuri line of manga and upcoming light novel releases, so be sure to check them out. i think the hole idea is freaking funny. its is like every guys dream but totaly unrealistic. the story , the charactors are all great. but i still do not think it will last that long. the only other manga like it is ranma 1/2. that lasted for ever.but good luck to it, i really want to read more. Merci beaucoup. Bonne entrée. Cela valait la peine d’etre lu. Your martial arts college can be that link. This is carried out with a powerful string connected at the end of the glow/rave sticks. One factor I liked, correct at the starting of the section, was Dr. I want to point out my appreciation for your generosity giving support to men and women who absolutely need help on in this concern. Your special commitment to getting the message along had become incredibly helpful and have continually helped most people just like me to arrive at their endeavors. This warm and helpful instruction means so much to me and substantially more to my peers. Many thanks; from each one of us. I’m just writing to make you be aware of of the terrific discovery our daughter undergone using your web page. She noticed some details, not to mention how it is like to have an awesome coaching mood to get a number of people with no trouble fully understand several problematic subject areas. You undoubtedly surpassed her expected results. Many thanks for distributing those important, healthy, revealing and also fun tips on the topic to Tanya. I am just writing to make you be aware of of the incredible experience our daughter developed using your site. She mastered several issues, not to mention what it’s like to possess a very effective helping character to make others just know precisely various complicated matters. You really exceeded visitors’ expected results. Many thanks for rendering those good, trusted, revealing and also cool guidance on the topic to Jane.